Monster Hunter World seems to have replaced its in-game squad system with Steam Group integration. We’ve been looking over the differences between the PC and console versions of Monster Hunter World quite a bit this week. One significant twist, however, is that Squads seems to have been replaced with a new, fully integrated Steam Group system. The PlayStation 4 and Xbox One editions of Monster Hunter World uses Squads as the equivalent of classes and guilds. Meanwhile, the folks at Destructoid noticed that the PC version assigns a primary Steam Group as your Squad. So choose VG 24/7 as your primary group, that’s the icon which will appear beside your username. The NPC who typically manages your squad currently welcomes you, but otherwise doesn’t have much to offer. It’s likely more features will be added when the game officially launches. 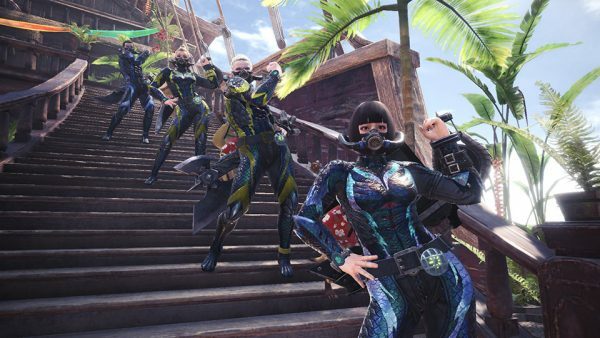 Some players may prefer to treat Steam Groups and Squads as independent systems, but it is a good sign that Capcom is trying to make sure the PC version will stand out. It launches for PC, PlayStation 4, and Xbox One on August 9, 2018.